Amazon’s Big Whole Foods Discounts Are Arriving Nationwide. Here Are the Latest Deals. 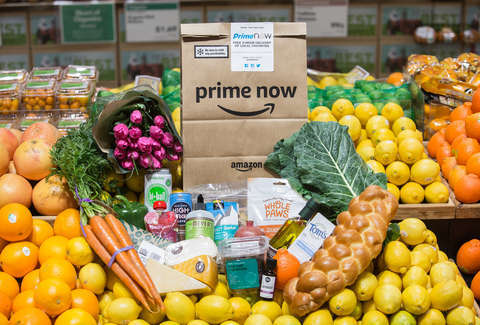 The merger between Amazon and Whole Foods is starting to bear fruit for Amazon Prime members. Whole Foods recently announced an expansion of benefits for Prime members, which includes 10% off on "hundreds of sale items" in 21 states. Now, the benefits are finally going nationwide this week. Whole Foods announced Monday that, starting June 27, Prime discounts will be available at every Whole Foods Market and Whole Foods 365 in the United States. "Customer feedback has been overwhelmingly positive -- in fact, Prime members have adopted this benefit at one of the fastest rates we’ve seen," Cem Sibay, vice president of Amazon Prime, said in a statement. Prime members can access the discounts by downloading the Whole Foods app. All you have to do is sign in with your Amazon account and scan your unique Prime code at check out and the discounts are yours. Hopefully, the couple of bucks you'll save here and there on groceries will help take the sting off of Amazon Prime's recent membership fee increase.